Choose a bank you want to work with. In some cases, the account can be opened remotely. Please contact our specialists for the details. You can process the application in one of our offices. The bank offers to visit one of their branches. 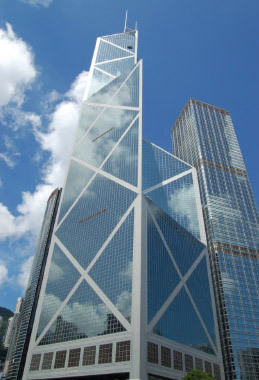 Hong Kong assembles the largest international banks with multiple Asia-Pacific branches and headquarters. In terms of international transaction volume, it is one of the largest international banking centres in the world and Asia's second coming after Japan. The banking industry is significant to the Hong Kong economy. Hong Kong has 151 licensed banks (of which 128 are foreign banks), 19 have restricted license banks (half of which registered overseas) and 26 local deposit-taking companies. There is a comprehensive network of 1,300 local branches for the 196 licensed banks and financial companies. Also, 65 overseas banks have local representative office in Hong Kong. Bank accounts are crucial to daily business and Hong Kong does not have foreign exchange controls. Thus, funds can be easily accessed. Due to the cumbersome banking services, overseas businessmen usually face difficulties in opening bank accounts with local banks in Hong Kong. A personal meeting with a bank officer is required in order to open a bank account. Usually the processing time is about 5 weeks. INTERCORP understands the requirements of major banks and we are glad to help you with your account opening in Hong Kong and around the globe. Hong Kong boasts the reputation of a reputable and secure banking centre. Businesses with Hong Kong bank accounts enjoy the image of trustworthy and reliable partners. Customers can deposit, withdraw or transfer cash via any Hong Kong branch office of their bank. In Hong Kong, minimum bank account balance is HKD 50,000. Monthly service fee of HKD 200-500 is applied if the balance drops below minimum limit. Most nationalities are eligible for business account opening. Please contact our representative to learn more details. Proof of the address - a driver's license, latest utility bill or bank statement (issued within three months of the application date). A notarized English translation is required if the documents are not in English. Copies of three contracts and matching invoices signed by the beneficiary to show that the account holder has experience in conducting business. These documents should be in English or Chinese and issued within one year of the application date. The type of business activity mentioned in these contracts should the company's business plans in Hong Kong. Document(s) showing beneficiary’s relationship with the company.